New data services provided by GSM Cellular Radio Communications networks contain unlimited product possibilities. Customized embedded computers for imaging, data collection, industrial controls, product monitoring, inventory control, dispatch services, medical electronics can all benefit by cellular data services. Medium and high performance embedded computer devices radiate electromagnetic energy interfere with radio communications. Proper shielding techniques are essential when implementing embedded electronics in a cellular radio application. An essential shielding technique is compartmentalization. 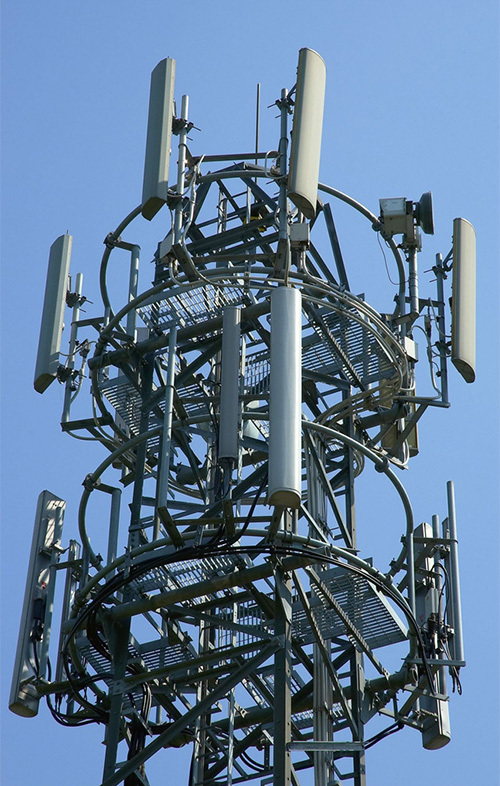 At frequencies above 500MHz unwanted radiated energy easily leaks onto power and ground networks. Once unwanted emissions start travelling on circuit board power and ground networks they cannot easily be isolated from sensitive radio components. Every trace and every wire is a conduction or induction path. Unwanted radiated emissions must be contained at their source. Compartmentalized shielding contains and attenuates unwanted radiated emissions at their source. Electrical isolation may be realized by the careful use of filter, feed-through and choke components. These passive components must be carefully placed into the circuit design. Introduction of filter components must not hinder actual data signals. Proper circuit board placement of passive filter component is critical to success. One mis-placed part can compromise an otherwise emissions free design. Attention to detail is paramount. Early circuit design testing is an essential ingredient. Circuit design review and pre-testing serves to identify trouble areas. Certain semi-conductor components may be particularly noisy. Phase locked loops (PLLs) can radiate in unexpected ways. Early identification of ‘hot’ components can save shield design time. The development of custom electronic products for our OEM clients is Orchid’s entire business. The design of low EMI embedded computers with rapid design cycles, demanding technical requirements, and unforgiving schedules sets us apart. Call Orchid Technologies today! Custom GSM Cellular Radio Communications Electronics opens new vistas of consumer services. Orchid's innovative GSM designs lead the way. "Sensitive GSM radio receiver performance is degraded by radiation from computer equipment. Your shielding design was simple, low cost, manufacturable–and it worked!"